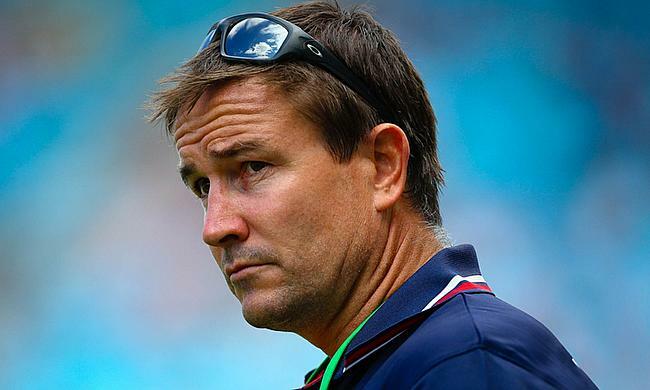 The second and final part of our interview with USA Sevens head coach Mike Friday focuses on the Eagles’ flying start to the season. Toronto Arrows Co-Founder Bill Webb spoke to TRU about the formation of the club, his own journey in rugby and his vision in Major League Rugby. Former USA Sevens player and current commentator Dallen Stanford believes it’s “only a matter of time” before the USA produce a shock at a Rugby World Cup. The second Major League Rugby season kicks off this weekend as Seattle Seawolves aim to defend their title, while the league also introduces two new teams. Mat Turner says he would have regretted not moving to America to continue his rugby career if he had passed up the chance to join current Major League Rugby champions Seattle Seawolves. Houston SaberCats are preparing for the new Major League Rugby season which begins this weekend and fly-half Sam Windsor is hoping his side can start on the front foot and show real enterprise this term. Major League Rugby in America is on the rise and Kieran Farmer is continuing to experience the division with the Houston SaberCats in 2019. New Zealand went on to win their first Dubai 7s title in 10 years as they defeated USA 21-5 in the final to begin the HSBC World Rugby Sevens series on top. Ahead of this week’s opening round in the 2018/19 World Sevens Series in Dubai, captain Madison Hughes took some time out to chat to Callum Wood about all things US Rugby and how his career has unfolded. TRU’s Joe Harvey rounds-up the latest news from across the pond as the build-up to the new Major League Rugby season continues…. Ireland internationals Robbie Henshaw and Conor Murray has been ruled out of the remainder of the autumn international campaign after failing to make sufficient recovery from their respective injuries. Four months after his first interview with TRU, former Connacht fly-half Tadhg Leader spoke to Joe Harvey again on his recent move away from San Diego Legion, the Boston FreeJacks, USA Rugby and his car bursting into flames. In Joe Harvey’s latest Major League Rugby interview, he chatted to Houston SaberCats and former Worcester man Charlie Hewitt. Connor Wallace-Sims is a young USA 7s representative, educated in Plymouth in the UK, who has just signed for new Major League Rugby franchise Rugby United New York [RUNY]. Bedford Blues' Will Hooley chatted to Joe Harvey about all things Championship rugby, representing the USA as well as his personal ambitions at club and international level.